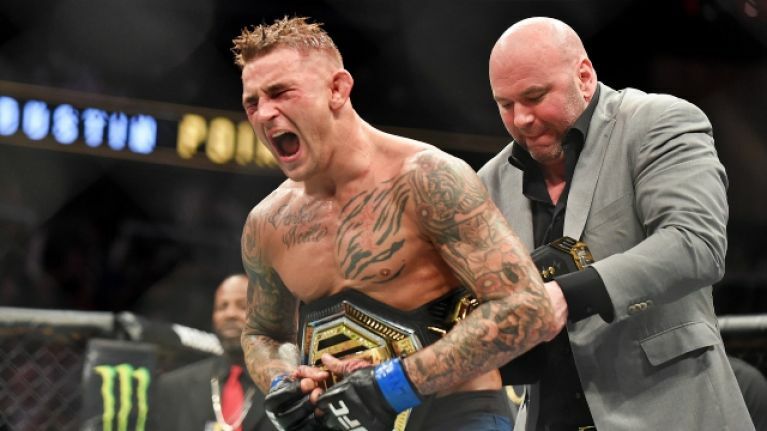 The UFC has two new champions, and the fact that they are 'interim' will mean little to Dustin Poirier, Israel Adesanya or the legions of fans that saw they claim stunning victories. UFC 236 may not have been the most stacked card in the promotion's history but there were two tasty title fights to close out the night. Adesanya and Kelvin Gastelum brutalised each other in one of the best fights seen in the UFC in years. The Nigerian looked to be just about shading it, heading into round five, but a strong finish saw him unanimously win out on the judges's scorecards. UFC president Dana White has told reporters, and fight fans, that Adesanya, who resides in New Zealand, will now fight current middleweight champ Robert Whittaker in Australia, to unify the division's belts, later this year. The co-main had everyone in a state of exhausted delirium but there was another treat in store. Dustin Poirier and Max Hollway, the current featherweight champ, went toe-to-toe for five enthralling, punishing rounds. 'The Diamond' went shooting for the moon in the opening round and landed some heavy blows, but Holloway kept moving forward. 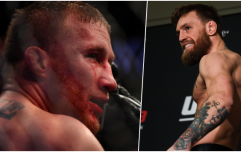 This fight set the record for significant strikes landed by two fighters in The Octagon and both took damage to the face and body. At one point, Dustin Poirier was scolded by the referee for spitting blood at Max Holloway, but the Hawaiian waved it off as a by-product of an absolute war. Poirier's corner told him he would be a world champion if he won the final round, and that he did. It was a close fight but all three judges scored it 49-46 and Poirier - 22 fights into his career with the UFC (40 in his total career) - had his hand raised. Conor McGregor, who lost that UFC 229 fight to Nurmagomedov, raved about the main event. He praised both fighters then suggested Poirier would be fighting Nate Diaz next. This is possibly McGregor suggesting he will get the next crack at Nurmagomedov but public opinion is firmly in the Poirier camp after that slobberknocker. Dana White, for what it is worth, says Poirier fights Nurmagomedov in September. That contest may happen in Abu Dhabi but White would not confirm the strong and persistent rumours on the night.